Lock in a great price for Hotel Aquila D'Oro – rated 9.1 by recent guests! Nice king size bed, great bathroom, great location. Location is great, staff very service minded and helpful and the hotel room was very nice. I give this place my Best recommendation. Friendly staff.Good breakfast. Convenient position close to shops train station and tourist sites. The hotel is low-key and elegant and right in the heart of historical center of Trento, with only 5 mins walk from the train station. The beautiful Piazza del Duomo is right outside the hotel, very convenient location for city travellers who like to make a quick tour. The staff are very attentive and professional. Interior has a very warm atmosphere and the rooms are of Trento city/culture theme, it offers many room types to choose from. Some include a Mini Sauna for two people, or water spa right in the bathroom, good for personal relaxation. Sauna IN the room was convenient! Night time front desk went above and beyond to satisfy. Top location. Hotel Aquila D'Oro This rating is a reflection of how the property compares to the industry standard when it comes to price, facilities and services available. It's based on a self-evaluation by the property. Use this rating to help choose your stay! One of our best sellers in Trento! A luxurious design hotel set just off Trento's Piazza Duomo, Hotel Aquila D'Oro offers free WiFi throughout and rooms with wellness amenities. The cathedral is 350 feet away on foot. Uniquely decorated rooms at the Aquila D'Oro come with satellite TV, air conditioning, and a mini-bar. A sweet and savory breakfast is provided daily, including croissants, cold cuts and scrambled eggs. At the Golden Eagle Street Bar, a modern, informal lounge bar, you can enjoy aperitifs and meals. Trento Station is 2,150 feet from the property, while the Buonconsiglio Castle is reachable on foot in around 8 minutes. Staff can arrange guided city tours. 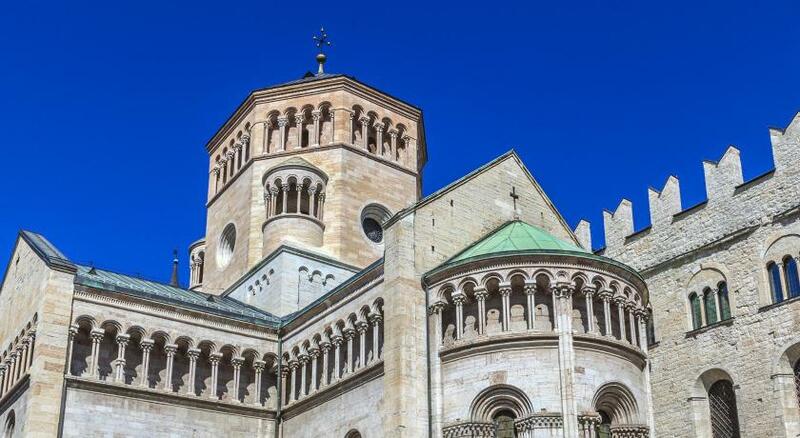 This is our guests' favorite part of Trento, according to independent reviews. This property also has one of the top-rated locations in Trento! Guests are happier about it compared to other properties in the area. When would you like to stay at Hotel Aquila D'Oro? Featuring a chromotherapy shower and free Wi-Fi, this air-conditioned room includes satellite TV and a mini-bar. The private bathroom has a hairdryer and free toiletries. Featuring a chromotherapy shower and an infrared sauna, this air-conditioned room includes free Wi-Fi, satellite TV and a mini-bar. The private bathroom has a hairdryer and free toiletries. Featuring a chromotherapy shower and free Wi-Fi, this smaller air-conditioned room includes satellite TV and a mini-bar. The private bathroom has a hairdryer and free toiletries. Featuring a wellness corner, this spacious junior suite includes free WiFi, wooden floors, and satellite TV. The private bathroom has a hairdryer and free toiletries. 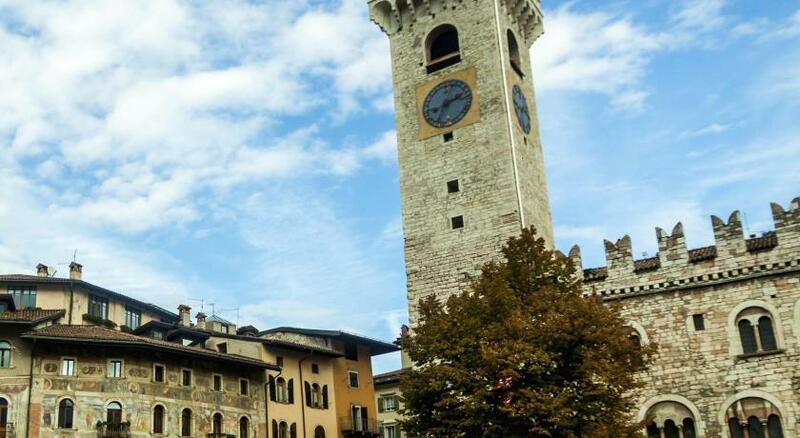 Piazza Duomo forms the hub of Trento’s old town, with restaurants and cafes surrounded by a Romanesque cathedral. Make your way through the surrounding streets to see incredible frescoes and porticoes. House Rules Hotel Aquila D'Oro takes special requests – add in the next step! Hotel Aquila D&#39;Oro accepts these cards and reserves the right to temporarily hold an amount prior to arrival. Hotel Aquila D'Oro accepts these cards and reserves the right to temporarily hold an amount prior to arrival. Our bikes were safely stored the basement. The room had its own infra-red cabin and a very nice massage shower. Great location. It was a pity that our room doesn't have a regular window to see the view outside. Also the closet space was a bit small, but since we only stayed one night so it was ok. But if you are staying for more days, it may become a problem not having enough space to hang your clothes. Bathroom is semi open plan, but the lighting is not very favourable for ladies doing make-up. I prefer brighter lighting and it lacks a full length mirror, so you can't really check yourself after you get dressed. I think this can use some improvement. Nothing, I really enjoyed my stay here. No parking but it was not difficult to find on-street parking. Hotel has no parking. Parking is available in public garage several hundred meters away (7-10 minutes walk). Staff was very helpful and friendly. The room (named Tridentum) is very comfortable with private sauna and massage bath. Breakfast was very good. The hotel is located in the old Trento centre and enables sightseeing of old buildings. One can choose between many restaurants or bars. Railway station is about 5 minutes walk. Apart from the suite being a little dark as there were only internal windows - of course this cannot be changed - Everything else was perfect! Where to start?! Fabulous location, just off Piazza Duomo, amazing room (Junior Suite) with super large bed, jacuzzi bath, separate huge shower (with light show! ), double sink bathroom & separate toilet, Roman Steam Room, hospitality tray ... Perfect! The staff were very attentive and friendly, and informative about Trento - restaurants, bars shops, museums, etc. 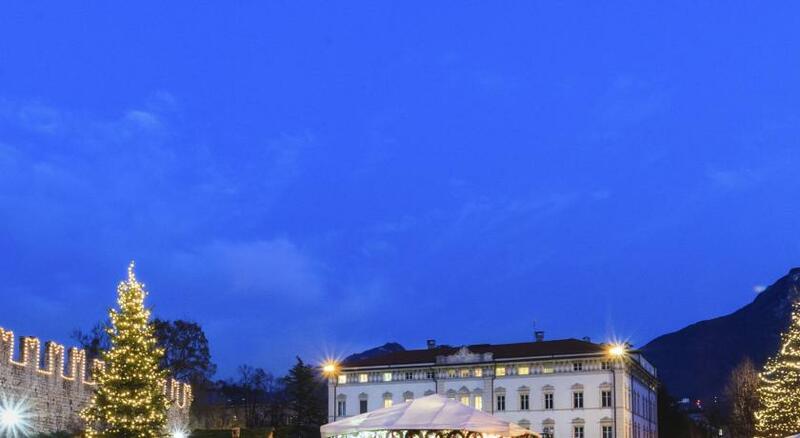 - Don't forget to ask for the free Trentino Visitor Pass for free/discounted entry into many places in and around Trento! The breakfast selection was outstanding, with hot & cold options, sweet & savoury foods and fresh fruit. This is offered in the basement of the hotel, but is light & airy - we loved the smooth jazz softly playing each day! There are a selection of different rooms within the hotel to cater for every need & budget, and from what we saw, were all beautifully furnished! One tiny window with ”view” of neighbors window 2 meters away and if you craned your neck, a glimpse of sky. And room temp set at 25 C, too warm (77 F). Asked for help adjusting temp, was told I can’t, and to “open window”. Which of course did no good with a tiny window facing an enclosed courtyard and no cross breeze. Breakfast mediocre.